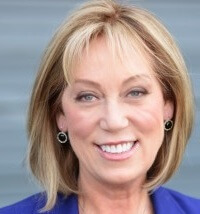 Janice LaVore-Fletcher is an ICF Professional Certified Coach (PCC), an IAC Master Masteries Coach (MMC), a Certified Christian Professional Coach (CCNI), and a Certified Mentor Coach for ICF Core Coaching Competencies, a Gallup Certified Strengths Coach, Licensed Get Clients Now Facilitator, speaker, and seminar leader. Janice uses her encouragement, passion, communication skills and “heart” to expand people’s thinking and inspire them to be all that God has called them to be. 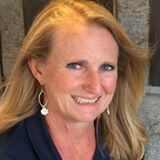 She brings years of corporate experience in leadership, human resources and training and development in adult education. Her early life coach training was at CoachU under the founder of coaching, Thomas Leonard, and she is a Charter member of Coachville. Her formal education is in Behavioral Sciences and she is a Licensed Human Behavior Trainer, Tele-Class and Webinar Leader. Janice is the Lead Facilitator in all courses offered at Christian Coach Institute. She is blessed with a wonderful husband, Dale, and they have four fabulous adult children. In their spare time, they enjoy gardening in their herb and flower gardens, enjoying nature, camping and traveling. 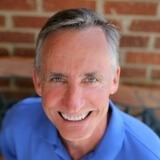 Dale Fletcher is the founder of Faith and Health Connection and a Certified Professional Life Coach through Christian Coach Institute. He’s a coach, health educator and speaker who is passionate about helping people incorporate a mind-body-spirit approach for healthy living. He graduated from US Military Academy at West Point and later obtained his master’s degree in Physical Education with an emphasis in adult wellness from Indiana University. Dale’s successful 20-year career as an Army officer included an assignment where he provided health coaching to senior officers and family members at the prestigious US Army War College. He also had the good fortune of being the initial Director of the Master Fitness Trainer Course at the US Army Fitness School. Dale made the transition into the corporate arena when he became a wellness coordinator and health educator at a large health care system in Harrisburg, PA. Working together with a counselor and registered dietitian, he developed and coordinated the system’s popular “Weight Management for Life” program. Dale later directed the health and wellness operations for the second largest YMCA branch in the country. In his Faith and Health Connection ministry, Dale teaches others about biblical truths for health and wholeness. He’s frequently a speaker for a variety of faith-based groups including Faith Community Nurse trainings and Christian colleges. He’s married to his sweetheart, Janice. Amanda Bailey is an ICF Professional Certified Coach (PCC), and a Certified Professional Life Coach through Christian Coach Institute (CPLC). She is a DISC Trainer (Certified Human Behavior Consultant and Trainer), and a Certified Group Coach and Group Coach Trainer. Amanda is passionate about the coaching conversation and is fully committed to the coaching process for training our students. She is personally engaged in each student’s life and progress towards becoming a life coach and their moving forward toward God’s vision for their future. Amanda worked successfully in sales and management in large corporations, on staff and as a lay leader in churches and Christian groups and led her own non-profit organization for 10 years. She has lived in China, Hong Kong, Europe and various places in the United States and has a great appreciation for different cultures and languages. 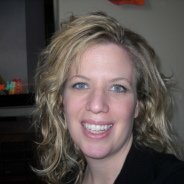 Amanda completed a Master of Arts in Biblical Studies in 2000 and graduated from the University of North Carolina at Chapel Hill with a Bachelor of Arts in Education. She has two wonderful step-daughters and loves anything athletic that she can participate in: Crossfit, tennis, cycling and hiking, to name a few. Linda Stephens-Jones, is an Associate Certified Coach credentialed by International Coach Federation, and a Certified Professional Life Coach and Certified DISC Consultant credentialed by Christian Coach Institute. In her private coaching profession, her portfolio includes work with clients in 21 states, Sydney & Hong Kong. Linda has also hosted a bi-weekly online radio talk show, Making Inspired Choices with Coach Linda where she provides listeners nation-wide hope and encouragement through engaging topics, coaching tips and inspiring guest interviews. Prior to her career as a life coach, Linda retired from a 30-year federal government career with the U.S. Air Force and the U.S. Army. She served in roles of increasing responsibility providing programs and policies to support military family life, in the U. S. and abroad, from an installation-level social worker and family programs director to one of eight major command (regional) family programs specialists. Her career culminated in her last position at the Pentagon where she served for 14 years as the senior advisor to the Assistant Secretary of the Air Force (Manpower & Reserve Affairs) for Family Programs Policy. 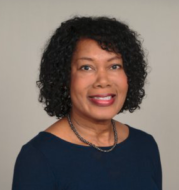 Linda has a clinical social work background and has most recently served as a case manager at the Bair Foundation, working with foster parents and children in placements in Northern Virginia. Linda received a Diploma in Biblical Studies from the Antioch Bible Institute, a Masters in Social Work from the University of Alabama and a Bachelors in Clinical Social Work from Talladega College. Linda serves in the Deacon/Deaconess, Women’s and Commitment Counseling Ministries at her church. In her free time, Linda enjoys sharing her faith, spending time with her husband, family & friends, travel, sports and the beach.